“Without a doubt, our cell ministry has been the most important church growth factor at Elim,” says Mario Vega, pastor of one of the world’s largest churches. 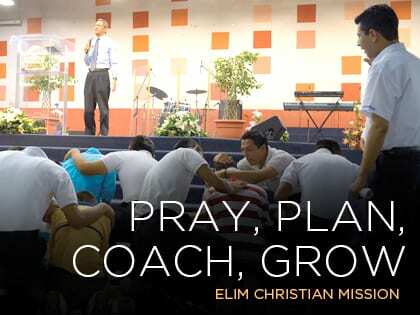 Elim (pronounced aa-LEEM) Christian Mission—whose central campus is in San Salvador, the capital city of El Salvador, has grown explosively since shifting to a small group model in the 1980s. The church and its home groups became an anchor of stability during a long civil war and major earthquake. It has offered guidance and spiritual answers to a nation still rocked by violence. It provides a new family to those whose only family has been a street gang. In the process, it has planted churches across Central America, North America, Europe and Australia, in part because of the evangelism and leadership development inherent in its small group system. Cell ministry is so important that the church’s leadership tracks the metrics of group life even more than worship attendance. 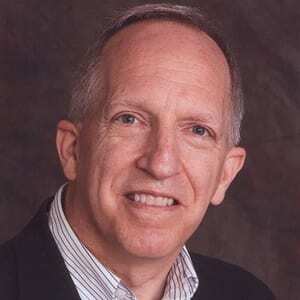 Joel Comiskey, who introduced me to Pastor Mario, is a worldwide expert in the cell movement and received the church’s blessing to research a book that describes Elim’s development. No Secret Beyond an Expectation to Reproduce? Over the years, church leaders have come to Elim to find the equivalent of a secret sauce that explains how a church in a city of just over half a million can see such sustained growth and vitality. “The secret is that there is no secret,” says Pastor Mario. The church is driven by a view of the Christian life fueled by the power of the Holy Spirit and God’s inerrant Word, according to Comiskey. That’s why he titled his book about the church, Passion and Persistence: How Elim Church’s Cell Ministry Penetrated an Entire City for Jesus. “They’re passionate for Jesus and they work hard at growing as his disciples, and reaching out to make new disciples,” he says. Thus every believer is seen as a potential minister of the gospel. For that purpose, Elim designed a training course for new cell leaders that is offered to each convert starting the week after conversion. The course lasts for six months and consists of 26 lessons imparted weekly, and is actually a way of learning to practice the believer’s universal priesthood. In this way, each new convert sees the cell work and leadership development as something natural for everyone new to the Christian life. According to Comiskey, Elim defines a cell as a group of three to 15 adults who meet weekly outside the church building for the purpose of evangelism, community and spiritual growth with the goal of multiplication. The majority of Elim’s cells are family-oriented (a mixture of men, women, singles, etc. ), but they also have women’s cells, youth cells and children’s cells. The cells are organized geographically, so that each group multiplies within its own geographical area. This means the church’s leadership pours most of its energy into some 9,000 volunteer leaders who exercise leadership and coaching functions within the cell model. They are the primary connection for the 73,000 people in the weekly cell groups, with similar ratios in their various daughter churches. The leadership path follows a similar pattern: A person starts as a cell member, becomes part of the leadership team, starts his or her own cell group and eventually begins coaching other leaders. All the while the church’s leadership guides and coaches these leaders, looking especially at their personal Bible reading and spiritual disciplines. “We look at calling, family priorities and personal issues,” says Pastor Mario. At the same time, they observe whether this person should go on to the next level of leadership. “Through the process, we discern whether God is calling a person to become a full-time pastor,” he says. Comiskey reports that Elim has one additional practice that’s unique to the church—one that makes a huge difference. “If anything separates Elim, it’s the way they have a planning meeting that prepares for the small group,” he says. This weekly meeting allows the cell leaders to ask questions like, “Who could we visit?” and “Who will lead the lesson?” and “What could we do differently to make the group better?” Every small group at Elim has this planning meeting, which the church labels as an edification time. “I think it’s a key in their church, even though they don’t advertise it much,” says Comiskey. This means the average lay leader at Elim has three meeting commitments each week: Sunday worship, the training meeting and the small group itself. “I have no doubt that just as Jesus lived among the outcasts of society, he today would walk alongside gangs in El Salvador, to bring light to them as he did in his time,” says Pastor Mario. The church’s cells are the pathway for doing just that.